﻿ What Did Isaac Newton Invent? Newton laid the foundations for differential and integral calculus, several years before its independent discovery by Leibniz. The 'method of fluxions', as he termed it, was based on his crucial insight that the integration of a function is merely the inverse procedure to differentiating it. Taking differentiation as the basic operation, Newton produced simple analytical methods that unified many separate techniques previously developed to solve apparently unrelated problems such as finding areas, tangents, the lengths of curves and the maxima and minima of functions. Newton's own first edition copy of his Principia, with handwritten corrections for the second edition. 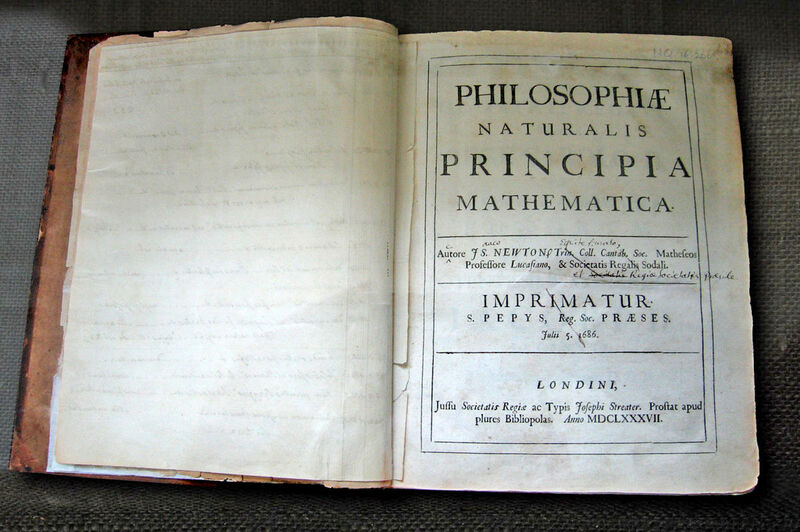 In 1687 Newton summarized his discoveries in terrestrial and celestial mechanics in his Principia (Philosophiæ Naturalis Principia Mathematica - mathematical principles of natural philosophy), one of the greatest milestones in the history of science. In it he showed how his principle of universal gravitation provided an explanation both of falling bodies on the earth and of the motions of planets, comets, and other bodies in the heavens. In his Principia Newton explained a wide range of previously unrelated phenomena: the eccentric orbits of comets, the tides and their variations, the precession of the Earth's axis, and motion of the Moon as perturbed by the gravity of the Sun. This work made Newton an international leader in scientific research. The first part of the Principia is devoted to dynamics and includes Newton's three famous laws of motion; the second part to fluid motion and other topics; and the third part to the explanation of Kepler's laws of planetary motion. 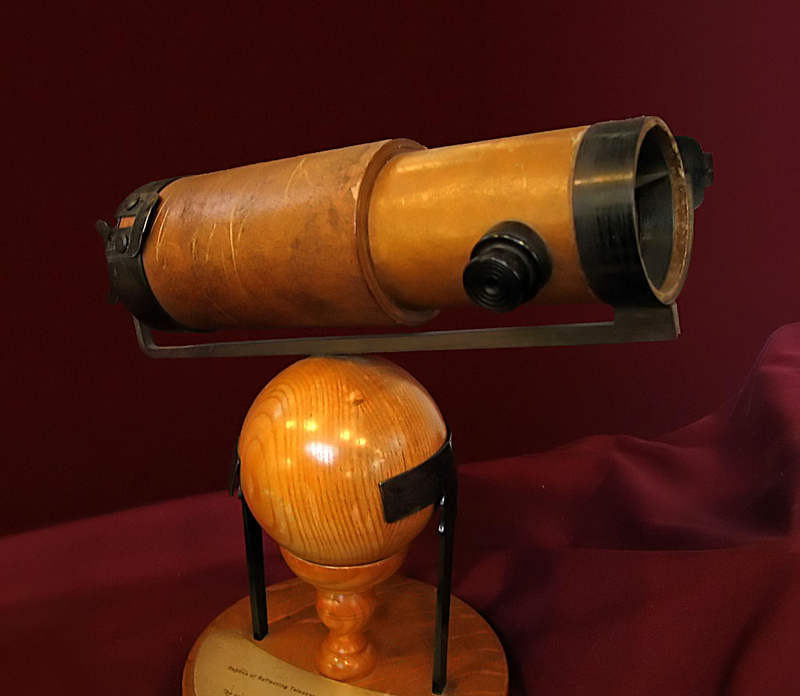 Replica of Newton's second reflecting telescope, which he presented to the Royal Society in 1672. In Optics (1704), Newton observed that white light could be separated by a prism into a spectrum of different colors, each characterized by a unique refractivity, and proposed the corpuscular theory of light. Newton's views on optics were born out of the original prism experiments he performed at Cambridge. In his experimentum crucis (crucial experiment), Newton had proved that white light was made up of colors mixed together, and the prism merely separated them - he was the first person to understand the rainbow. He also observed Newton's rings, which are actually a manifestation of the wave nature of light which Newton did not believe in. In the 1690s, Newton wrote a number of religious tracts dealing with the literal interpretation of the Bible. Henry More's belief in the Universe and rejection of Cartesian dualism may have influenced Newton's religious ideas. A manuscript he sent to John Locke in which he disputed the existence of the Trinity was never published. Later works – The Chronology of Ancient Kingdoms Amended (1728) and Observations Upon the Prophecies of Daniel and the Apocalypse of St. John (1733) – were published after his death. Newton devoted much of his time to the study of chemistry, a great number of his experiments still remain in manuscript.